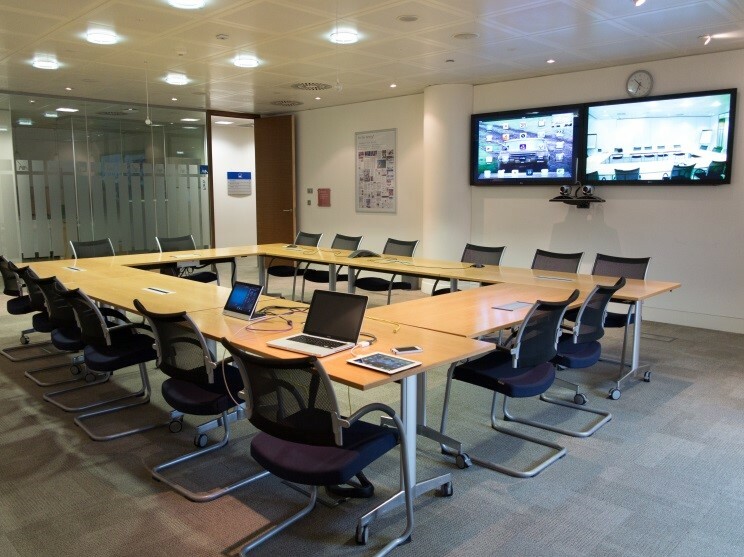 CTLAV were successfully appointed by AXA to completely remodel the audio visual and video conferencing facilities at their prestigious London Head Quarters building. Working closely with AXA and several key manufacturers, CTLAV designed a unified solution for the all the London office meeting room facilities, including a large Boardroom and multi-configurable meeting spaces. This gives AXA an identical user experience regardless of room. 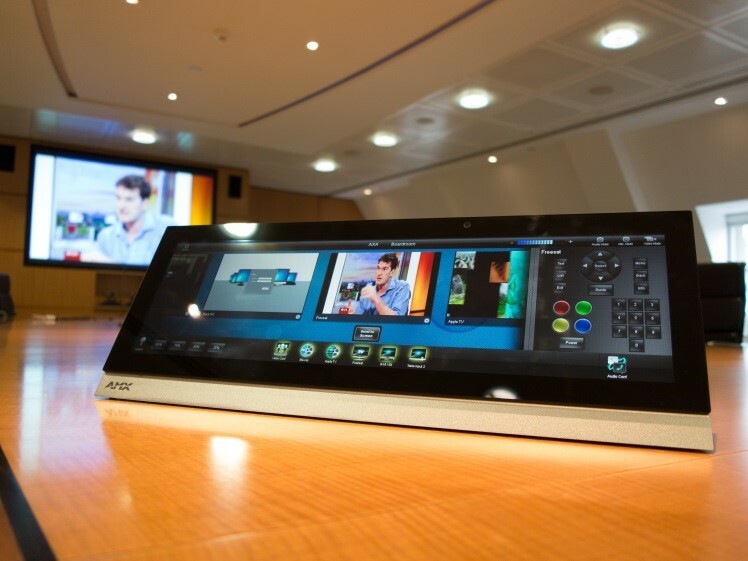 The facility is specifically designed to provide a simple to use, state of the art video conference and audio visual solution requiring minimal user training to operate, but provides a comprehensive feature set. This includes automatic face recognition in a video conference, through the use of the Polycom Director system. The equipment is controlled by a state of the art AMX touch screen control system, which gives an easy to understand, but comprehensive control over the facility. 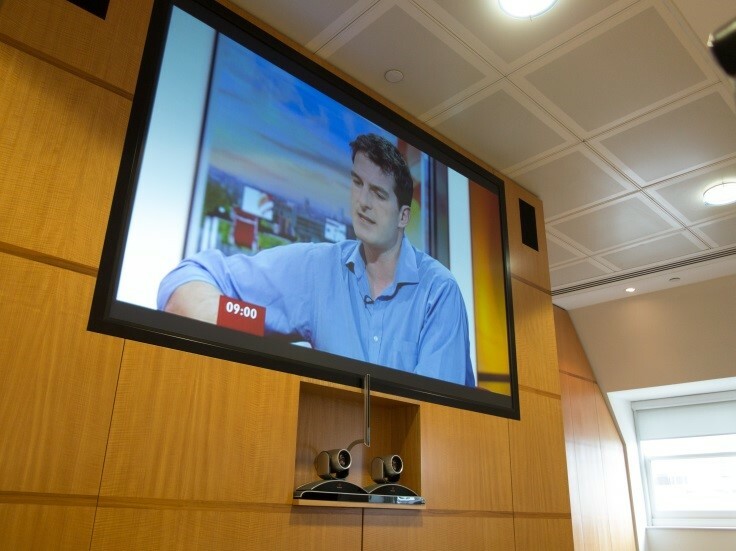 The main Boardroom features a large 20” widescreen touchpanel which provides both AV control and a confidence monitor feature for the presenter. Discretely installed microphones in all the meeting spaces, managed by Polycom Soundstructure DSPs ensure all delegates using the facility can be heard whether in a video or audio conference. In order for AXA to maximise the return on their investment, the complete system is monitored and maintained by CTLAV who not only maintain the equipment on a proactive basis, but also provide emergency assistance and support for both the technology and the end users. In addition to the London Headquarters building, CTLAV also supply and maintain much of the UK based video conference assets for AXA including High Definition Polycom video conferencing equipment and audio visual facilities in many of their UK offices.